Mr Godwin Fletcher is the latest bear in my 'Vintage Collection'. 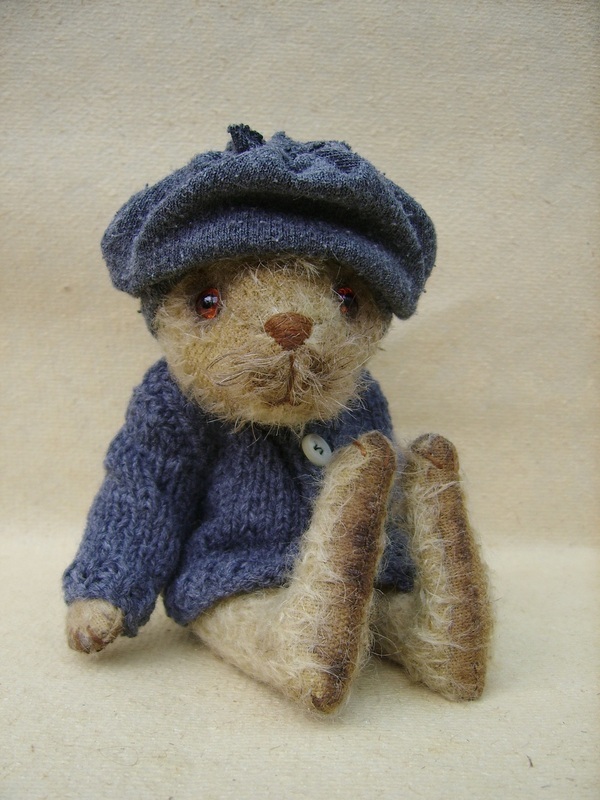 He is made from my gorgeous pale gold mohair, sparse and felted, trimmed, roughed up and shaded in areas. He has very old, hand blown, amber glass eyes, which really have an aged look to them. His features and claws are hand embroidered. 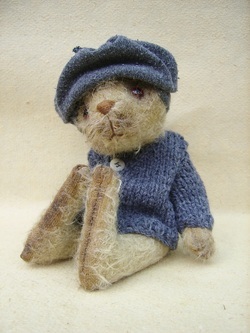 Mr Godwin Fletcher is wearing his grey, hand-knitted cardi, with useable button, and his old cloth cap.